Snow White and the Seven Dwarfs is the first well-known animated feature, but it's not actually the earliest full-length in existence. 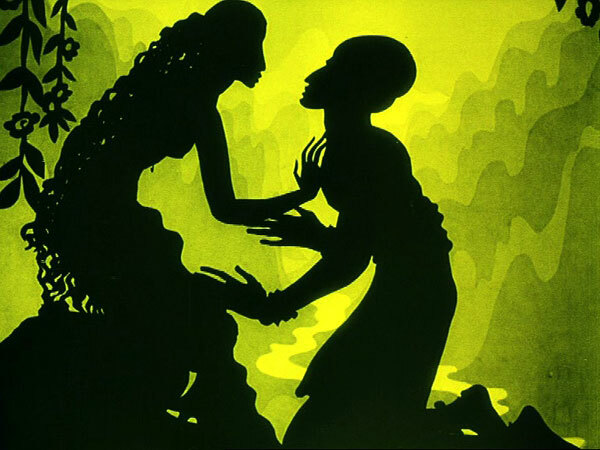 That prize goes to The Adventures of Prince Achmed, a silent film based on the stories from The Arabian Nights. 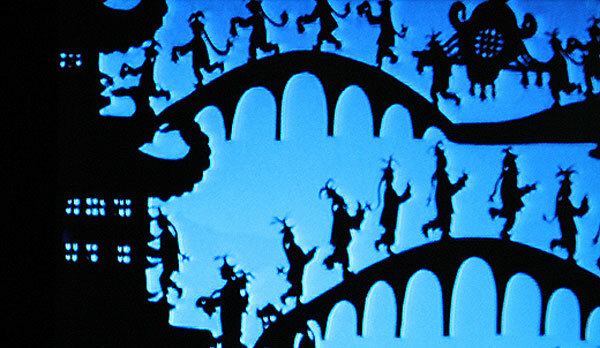 German Director Lotte Reiniger uses a remarkable style called silhouette animation to depict the fantasy tale. It's an ambitious movie that seems even more impressive when you consider that it was released more than 85 years ago. The current version was restored in the late '90s from surviving nitrate prints and tinted to match the original approach. 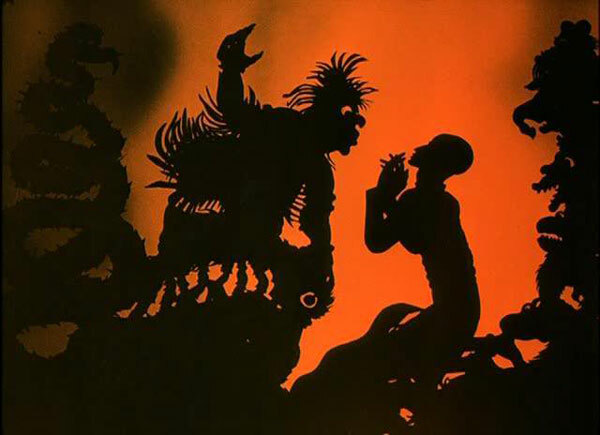 This five-act story focuses on Prince Achmed, the son of the Caliph. He faces off with an evil magician and must battle mightily to defeat him and save his sister Dinarsade. During these adventures, he encounters Aladdin and his magic lamp, which plays a key role in the battles with the magician. He also falls in love with the Princess Pari Banu, who he saves from demons. The sorcerer is no easy match, so Achmed gets assistance from the Witch of the Fiery Mountain to battle the evil hordes and save the day. There are a lot of nasty creatures in this world, so it isn't the best choice if I'd like to guarantee my survival. However, this a colorful, unique environment that is unlike anything that I've previously seen on screen. It's clear that David Yates and his effects team were inspired by this movie for the animated story in Harry Potter and the Deathly Hallows, Part 1. This land includes grand castles, lavish rooms, and interesting beings, so residing in this world would be an exciting, unpredictable experience. Reiniger is depicting legendary characters and stories and isn't worrying about delivering full-fledged individuals. Achmed is the hero, the magician is the villain, and several women are in trouble and need saving. We learn the most about Aladdin, who describes his experiences with the lamp and the princess during the fourth act. Anyone who's seen the Disney version of Aladdin will find this sequence familiar, though there aren't any dated jokes from Robin Williams in this case. The characters are thin, but it's not a surprise and doesn't really hurt the movie. The draw is the animation style and an original take on the classic fantasy story, so I can accept the limited depth from the characters. The special effects are groundbreaking and remain impressive when viewed from a modern perspective. The silhouettes were prepared frame by frame, so seeing them move across the screen is incredible. The magician and the witch morph into a variety of creatures, and these transformations and handled very well. The color tints effectively convey the emotions of each scene and increase the other-worldly feeling of the story. When these images are combined with the score by Wolfgang Zeller, the effect is very impressive. It's surprising to note just how well everything comes together when you consider that Reiniger was inventing this style on the spot. Her approach was so unique that audiences had a mixed reaction to the story. It differed from their perception of animation and was ahead of its time, so the inventive fantasy left them confused despite the striking effects. 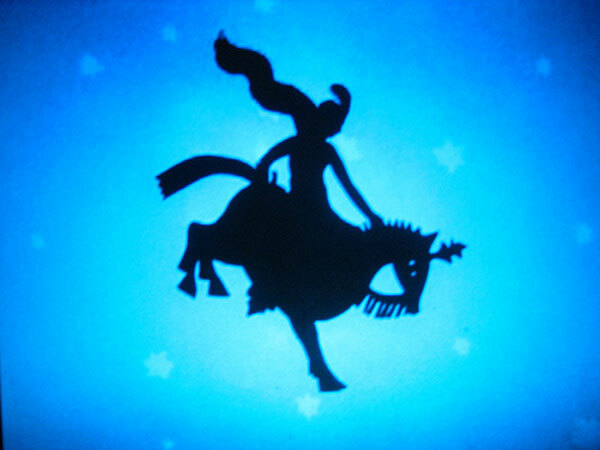 The story opens with the magician creating a horse that has the ability to fly high in the air. This seems like a ploy to impress the Caliph (which it does), but he has more nefarious goals. He encourages Achmed to try the horse but doesn't tell him how to land. Watching the prince rise dangerously into the air and struggle to survive is an excellent scene. While the magician enacts his plans, Achmed is far away. Another interesting early scene involves him encountering a group of women who serve Pari Banu. Like the charming sirens from The Odyssey, they woo Achmed and nearly sidetrack his task. The climactic battle between the magician and the Witch of the Fiery Mountain shows off all of Reiniger's skills and involves many transformations. The effects might seem crude when compared to CGI battles of today, but the tremendous skill involved makes it a highlight. This question is a no-brainer. 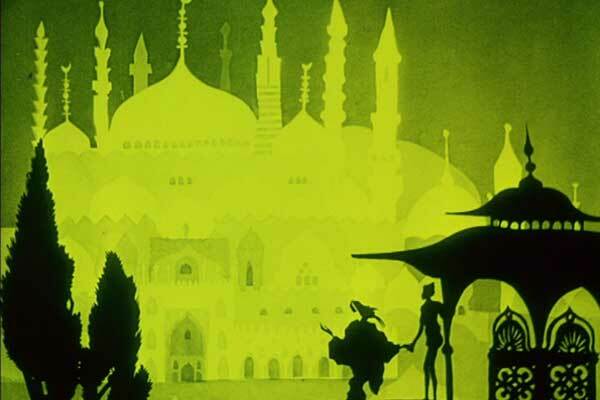 Even if you're not enthralled by the fantasy story, you have to admit that Reiniger creates an original style with The Adventures of Prince Achmed. The idea of watching an animated silent film might not sound exciting, but you might be surprised by the experience. Much of the plot is forgettable, but it's a definite must-see if you're interested in animation and its origins in the feature-film format. I haven't seen this, but I have seen stills from it. I felt that the short animated sequence in Harry Potter and the Deathly Hallows Part 1 was reminiscent on the style of this film. Definitely. 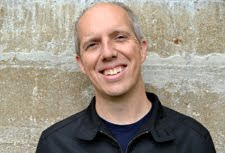 Although the Harry Potter sequence is more advanced from a technological perspective, they are very similar. I've never even heard of that movie but it looks stunning, just completely breathtaking. John, the animation is remarkable, especially when I think about what was required back in 1926 to put it together. It's definitely worth checking out if you get the chance. I've had the great good fortune to see this film - it is, as often remarked, 'mesmerizing'. It's available on DVD from Netflix and can be purchased from Amazon. Its one of my favorite films and one I return to each year for another viewing. Beautifully done, and beautifully restored, with gorgeous music that goes with the film perfectly. This film is a masterpiece of magical storytelling - and makes you wish Ms. Reiniger had made more films like it. I agree with your points. It's one of those movies that few have seen despite its availability. I'm hoping that more people check it out in the future.